Once we jumped on the whipping cream bandwagon, we couldn't get off without adding another flavor. Like the Lemon Lavender, the Orange Cinnamon Scones are terrific. The same easy directions apply: add one cup of whipping cream to the mix, knead the dough, cut dough into triangles and bake. 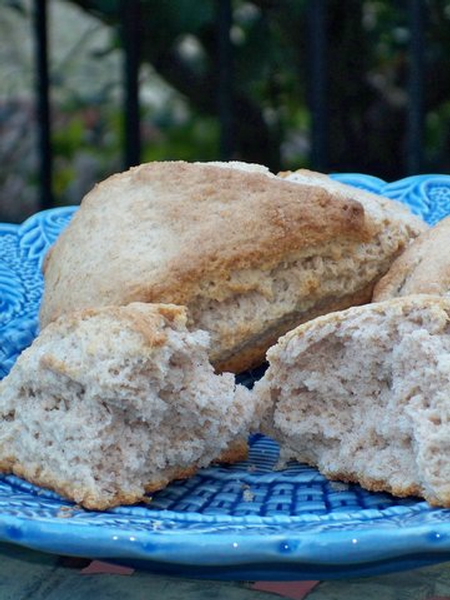 The aroma of orange and cinnamon wafting from the warm scones is irresistible. Teach them a lesson with some butter and a knife. We hand craft these in small batches in Ailey, Georgia.